We are your Marketing Team! We take time to find out about your business and advertising goals and work with you to custom tailor a marketing program. 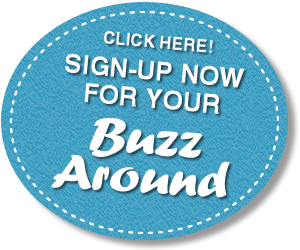 Using our email newsletters, Facebook, and games & prizes we increase your walk-in traffic… there’s always something fun happening in the Buzz Around! We have photo contests & recipe contests, in store prize box drawings, historical trivia, and we organize events. Our readers love to shop local! A healthy small business environment is critical to community improvement & growth. We work hard to connect businesses with their communities. By combining advertising and active marketing techniques including Facebook & Web design, we give our business partners quality exposure and interaction. We help build sustainable communities by giving small businesses the tools they need to compete and bring in new customers! Publishing 7 weekly e-newsletters to a 17 community region in the Bridgewater, MA area. Targeted advertising and marketing opportunities toward active community members and small businesses.